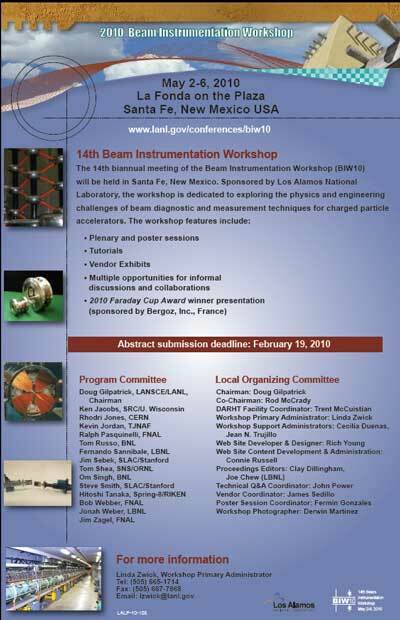 BIW10, the fourteenth Beam Instrumentation Workshop, was held May 2-6, 2010 at La Fonda Hotel, Santa Fe, New Mexico, USA under the sponsorship of Los Alamos National Laboratory. The program featured 29 talks and 92 posters, nearly all represented by manuscripts in these Proceedings. The links below take you to Portable Document Format (PDF) files containing the manuscripts and, for most orals, the slides. Additional material not customarily included in a JACoW Proceedings, including videos of the entire tutorial orals, may be found on the conference website at http://www.lanl.gov/conferences/biw10.